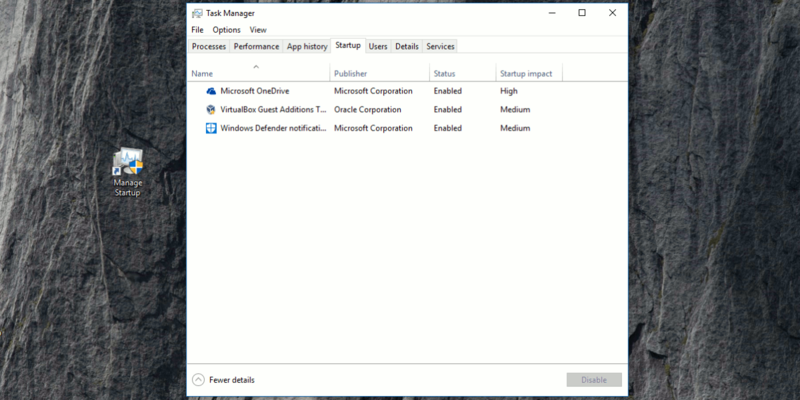 The Task Manager application opens to Processes tab by default in Windows 10. There is a secret hidden way to open it to the Startup tab directly. You can use this trick to create a shortcut to open the Task Manager's Startup tab directly.